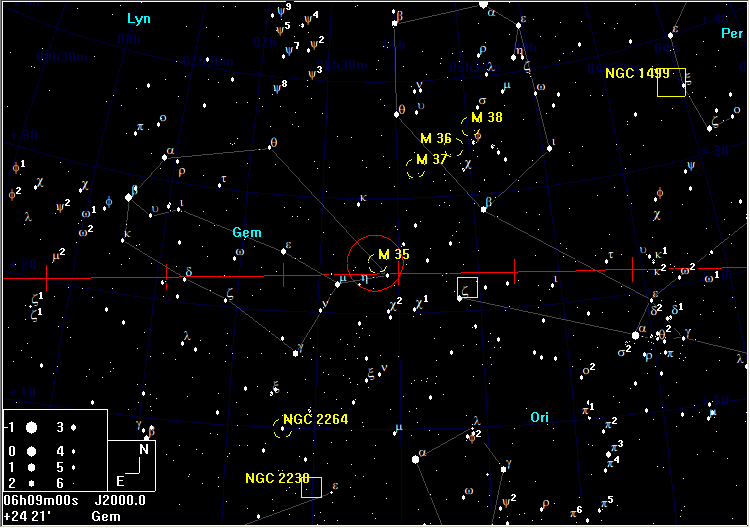 If you place η Geminorum at the SE edge of a 5° field, M35 will be in the centre. M35 is a superb open cluster of over 300 stars. It is about the same apparent size as the Moon. 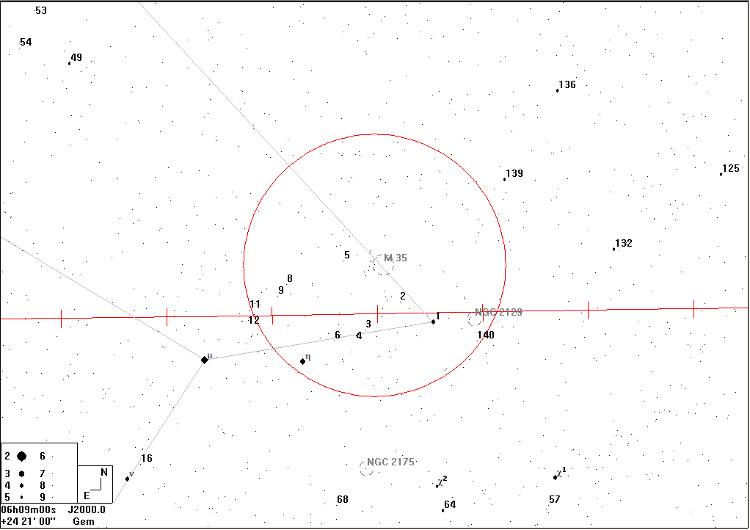 15 or so stars are resolvable in 10×50 binoculars. 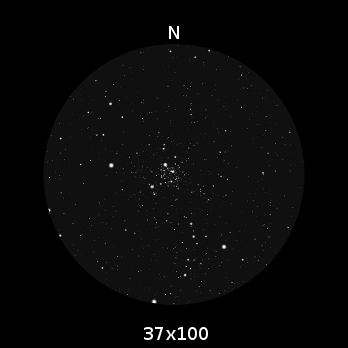 Using averted vision if necessary, see if you can glimpse two other open clusters, NGC 2158, which is half a degree to the SE, and the slightly more difficult IC 2157, which is a degree to the ESE.